Advance Medical Directive…Who Has Control of Medical Decisions? BlogHome Advance Medical Directives Advance Medical Directive…Who Has Control of Medical Decisions? An advance medical directive, also called an advance health care directive, or living will is a legal document that allows an individual, known legally as the declarant, to specify what his or her health care wishes are and how they should be carried out in case of incapacity, serious illness, or an accident. This relieves the stress from both family members and medical staff as these decisions are made in advance by the patient. If you don’t have an advance medical directive that names someone you trust to oversee your care, important health care decisions may be placed in the hands of family members, doctors, and possibly judges, who may know very little about you, your wishes, and what type of care you would want. End of life care instructions as to what treatments the declarant does or does not authorize with regard to his or her health care. You take control of your health care decisions about your eventual care in advance. Making decisions about life-prolonging medical treatments, such as CPR, ventilator assistance, feeding tubes, hydration, dialysis, and even antibiotics, when you are well and have time to think and consider what type and how much care you would want if incapacitated, in a coma, or terminally ill will give you peace of mind. You may choose some, all, or no life prolonging treatments or extraordinary measures, or opt to receive pain medication and only palliative care. And, you can specify certain treatments for a finite period of time, after which, if your condition does not improve, treatment should be stopped. Your advance medical directive only takes effect when you cannot speak for yourself, so again, you must plan carefully about what you want your directive to say when the time comes for it to act as your spokesperson. As long as you are competent, regardless of your condition, you will make your own decisions. When you are not, your advance medical directive and agent will guide the decisions used in your treatment. Your directive can be changed at any time. If your health situation or personal beliefs change, you can edit, update or amend the details of your advance medical directive. Be aware, as stated above, that this is a legally binding document and must be updated by legal means if you change your mind about all or part of your future medical treatment. An advance medical directive is also used to appoint an agent to carry out the declarant’s wishes, or otherwise to make decisions as to the declarant’s medical care. Most people name a spouse, partner, close relative, or even a very close friend as their agent. Under Virginia law, your agent must be at least 18 years old. Your agent should, regardless of their own personal beliefs, be your advocate and be willing to enforce your advance medical directive and health care wishes. Though your agent does not need to be a resident of the Commonwealth of Virginia, they must be able and willing to travel to Virginia if necessary. When agent needs to begin enforcing and making health decisions for you once you lack the capacity to do so for yourself, it must be done in person. Once you have created your advance medical directive, the declarant should inform his or her primary physician and a copy of the directive should be included in your medical records. You should also make sure that copies are included in the files of specialists including cardiologists, oncologists, etc. It is also a good idea to give a copy to your agent, so that it can be reviewed and discussed, if necessary. 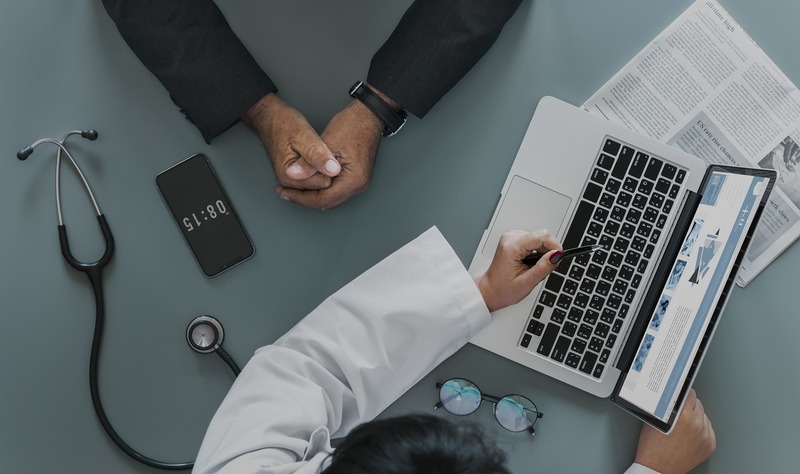 You may want to share the details of your advance medical directive with your spouse, children, and other close relatives so that everyone understands your wishes. An advance medical directive is not a one-size-fits-all document. Meet with an experienced estate planning attorney to ensure that your final wishes as to medical care are carefully detailed so that they can be carried out as you planned. In Virginia, contact Northern Virginia Trusts & Estates. For more information about our estate planning services, contact our office today at 703.938.3510. What Is a Catholic Living Will?